I have started to like soup! 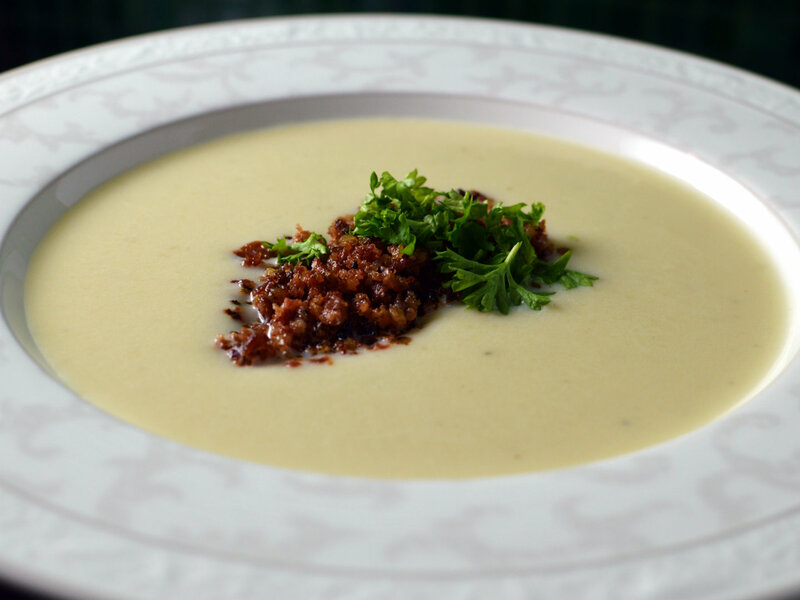 It feels so much more like a real meal when doing creamy velvet textured soup. Using up those ingredients that soon expire is perfect for this kind of soup. I usually experiment with root vegetables, pumpkin and fruit. Chop them up, fry a while on high heat, then add bouillon to merely cover the ingredients. Let it simmer until ingredients are softened then mix with a hand mixer until there are no chunks left. Add cream or coconut milk, season, stir and you are ready to serve. So delicious and even the favorite food of my 2 year old! But it does get a bit boring eating the same texture spoon after spoon so some crunchy soup toppings is a nice contrast. Grate parmesan cheese, heat up the oven to 175°C (350°F) , line a baking sheet with parchment paper. Place a tablespoon of cheese 3 cm (1 inch) apart on a lined baking sheet. Bake for around 5 minutes, or until golden brown. Let cool to firm up before removing. Cut bread (preferably stale bread) in equal size chunks, fry in butter or oil and be careful not to burn them. Detailed tutorial here. Save some of the vegetables used in the soup. Chop thinly and fry until crisp. Or chop a little larger pieces if you deep fry it in oil.